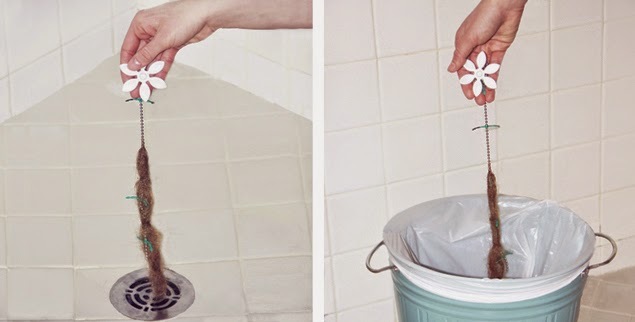 DrainWig hair-catcher, a DIY, disposable solution that makes it easy to get rid of hair clogs. Simply thread DrainWig down the drain, leave it for two to four months and then pull it out and replace - no more dredging out the drain by hand. 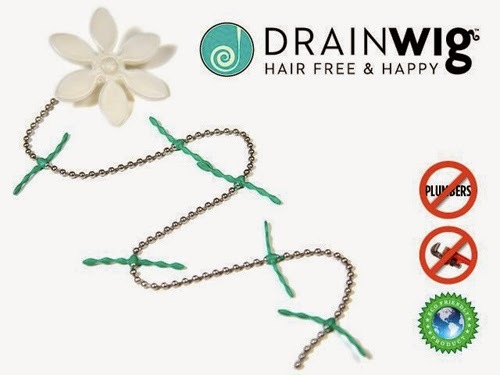 As seen on Today’s Bright Idea segment on the NBC Today Show and in The Oscars 2014 Nominee Gift Bags, DrainWig has tiny rubber “whiskers” that catch hair spinning in water as it goes down the drain - hair that over time can turn into a trapped glob. 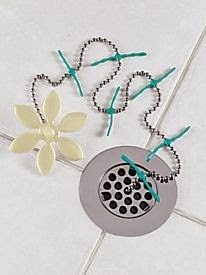 With DrainWig, pull out the mess and throw it away without ever touching it. DrainWig also eliminates the need for chemical-based products that dissolve clogged hair but are also dangerous and can ruin pipes. This is an amazing product. I lose so much hair in the shower and bath, it is gross to dig it out. But now I don't have to! Plus it is cute too! And guests will never really know what it is if they spot it in the shower. Very cool.